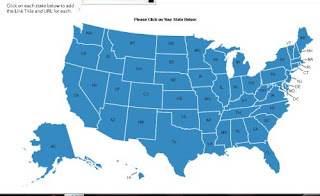 Create your own click-able map for free. Add links and change the color if you wish. This is a great freebie! You can customize this map how ever you wish. Click the link below to go to the website and make your map. Make sure you click, "Generate Map" button at the bottom. Happy mapping.